Infographic: London’s largest protest marches from Delayed Gratification, the Slow Journalism magazine. 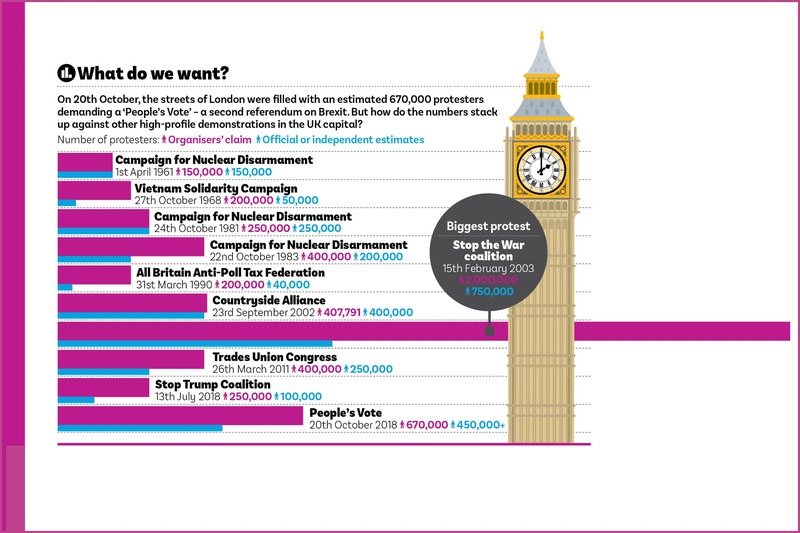 As pro-remain protesters took to the streets of London in October 2018 to demand a second referendum on the UK’s membership of the EU, we compared the event with the capital’s other mammoth marches of recent decades. It turns out that in the past 60 years there has been at least one issue that has prompted a bigger show of public outrage than Brexit.